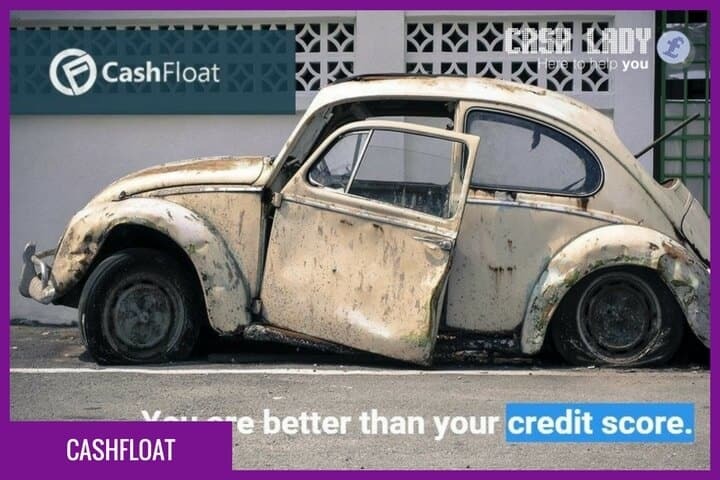 Cashfloat are a UK lender, offering online short-term loans up to £1,150. They have a strong customer service focus, offer a five-day grace period for missed payments and a repayment freeze if a customer unexpectedly loses their job. What is the duration of a CashFloat loan? Between one and four months. The amount that you are offered depends on the sum that you wish to borrow, and the repayment schedule that the Cashfloat underwriters believe would be most manageable for you, based on your financial situation. New customers may apply for a minimum of £200 up to £500, while existing customers can apply for up to £1,110. What is CashFloat's loan application process? You are required to complete a short online form, providing information about your regular income and expenditure, plus some personal details including your address. Cashfloat will then assess your loan affordability by accessing your online credit file and the data provided in your form. A member of their underwriting team will also review your application, to decide whether to approve you for a loan, as opposed to relying purely on technology. They aim to have your loan decision within one to three hours and you will receive an email notifying you about whether you have been accepted. How quickly will I receive my loan from CashFloat? Following approval, Cashfloat aims to provide your loan in under one hour. The entire process, from application to receiving the funds in your bank account, should take an average of under four hours. The process may be held up slightly if a member of the Cashfloat team needs to contact you for further information or supporting documentation. The amount of interest charged on your Cashfloat loan depends on the amount borrowed and for how long. They have a representative APR of 997%, which means 51% of customers will receive this rate. The other 49% will receive a different rate, depending on their financial standing and credit score. Should you fail to make your repayments on time you will be charged a £15 late payment fee, plus daily default interest of 0.74 %. This will only be charged this once per loan. To avoid this situation Cashfloat asks that you contact them in advance of your repayment date to let them know if you are in financial difficulty. So long as you keep them notified, they can offer support by providing a little more time for your repayments or help you access relevant financial advice. Can I repay my CashFloat loan early? If you find that you can repay your Cashfloat early then you are encouraged to do so, without financial penalty. Repaying early reduces your daily interest charges and therefore overall amount due on your loan. Will CashFloat run a credit check? As a responsible lender Cashfloat are obliged to run a credit check as part of your loan application process, however they will also review your current financial situation and loan affordability. They understand that many people have less than perfect credit and so have developed an innovative affordability matrix to help assess if a loan is the right option for you. As part of this assessment they will consider whether you have any CCJ’s on your credit file and the current amount that you owe to creditors. What help and support do Sunny offer? As a customer focused lender, Cashfloat aims to provide help and support throughout the full loan process. Their customer support team can be contacted on 0203 757 1933 during office hours, 9:00 am – 5:30 pm Monday to Friday, or you can email them at info@cashfloat.co.uk and they will respond within 24 hours (weekends and public holidays excluded). There is also an online Live Chat option on their website, where you can get instant answers to your questions. Where can you find online reviews of CashFloat? Reading online reviews can help you decide whether Cashfloat is the lender for you, based on the experiences of other borrowers. There are over 220 reviews on website Reviews.co.uk, which give them an average score of 4.81 out of 5 stars. What are CashFloat’s FCA registration details? Cashfloat is fully authorised to lend by the Financial Conduct Authority (FCA). Their FCA registration number is 714479, and proof of their authorisation can be found here. Applying for a short-term loan can be time consuming and confusing. Applying through Cashlady involves just one application and then we’ll provide you with a selection of suitable quotes from various loan providers, including Cashfloat. Simply complete our simple application form and we’ll provide you with the relevant rates and prices, repayment terms and other vital details that will help you to compare loan options.